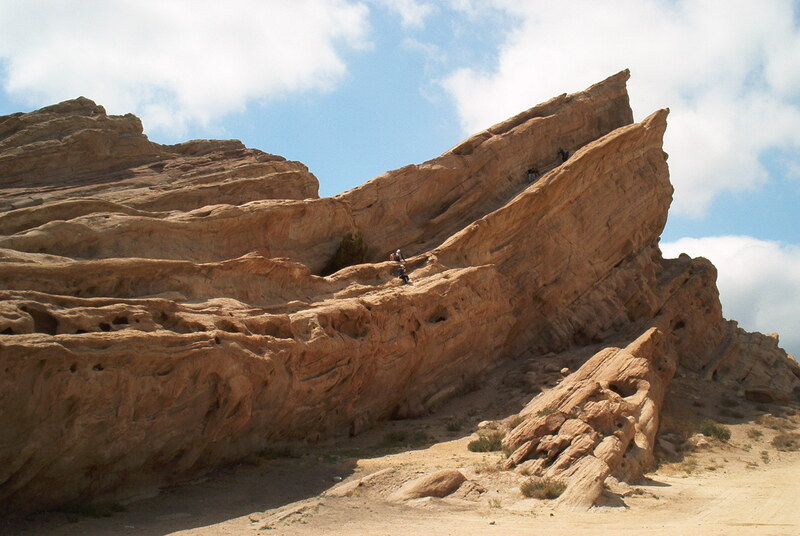 After the blackbird aniversary on April 27, 2002, Michael Kindig, his nephew and I stopped by a place called Vasquez Rocks. It's just a really cool rock formation to climb arround on. Some movies and tv shows were filmed here as well, since it looks kind of other-worldly. Kindigulous (2003-09-15): "Some movies and tv shows were filmed here" = over 130! CaptVonTrapp (2005-01-31): One of my favorite Star Trek episodes was "Arena". This was the sight of a battle between Capt. Kirk and a lizard-like lifeform known as a Gorn. I always wondered where that episode was filmed. Now, thanks to this site, I know. Looking at the pics supplied, it's easy to see just how much of that particular episode was filmed in, around and on theses beautiful rock formations. Dr. Whiplash (2007-12-19): Bill & Ted's Bogus movie, and they reference the Capt. Kirk scene too.